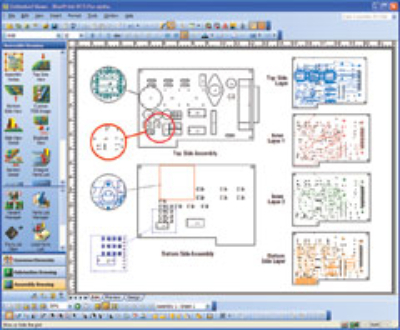 BluePrint-PCB® works your PCB CAD system and/or CAM350® to help you quickly produce comprehensive electronic drawings to drive PCB fabrication, assembly and inspection processes. automatically create and link unlimited PCB views and details, while at the same time maintaining the design intelligence and overcoming the constraints imposed by both PCB and mechanical CAD alternatives. The result is an electronic document which better articulates the instructions for successful PCB manufacturing. Store all information associated with the PCB assembly in one electronic "release package"
documentation records the engineering "intent" of a design specifying the form, fit and function of the PCB. Documentation drives the procurement process, aids manufacturing engineering and is used in final inspection to verify the product was built to engineering's specification. It also gets archived to ensure later production runs can be repeated with the same level of consistent quality. PCB documentation must capture all of the information necessary to not only build the product today, but also any repeat builds in the future - eliminating any guesswork. 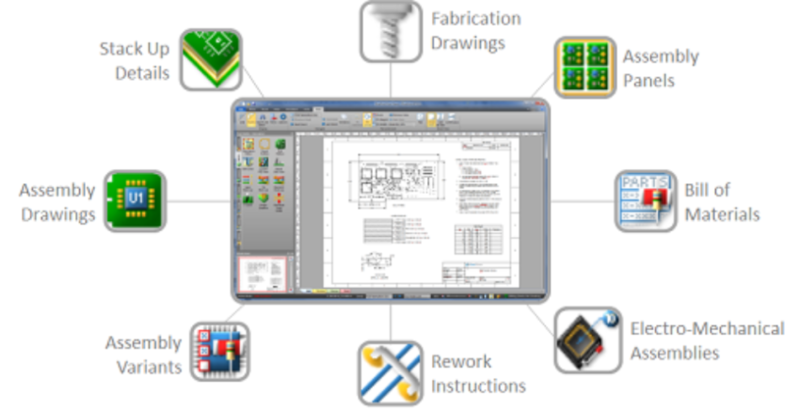 Advanced documentation solution, configured to work with your specific CAD database. Entry level Solution to get you Started - Includes GUI, database, Drafting and basic dimensioning tools, Common tool pallet with drag and drop elements, Task panes, Edit/Preview/Design modes, Gallery, Preset templates without editing, Hard copy print.